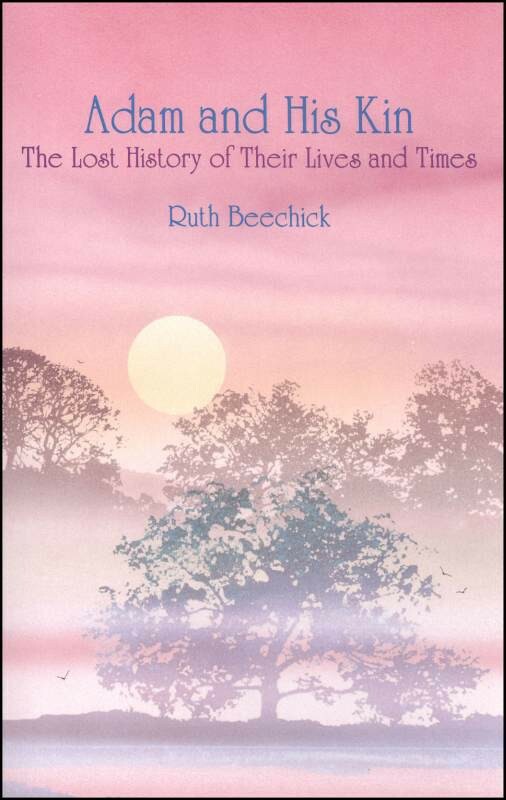 The Lost History of Their Lives and Times by Ruth Beechick. A rare blending of the Bible account with information from sciences, archeology, ancient traditions and other sources. Reads as easily as a story, yet teaches actual history. Narrates from creation to Abram, encompassing the whole period usually called "prehistoric". Charts, maps and illustrations help to give a clear picture of times and places. Gives insights into the world before the great flood and into the rebuilding of civilization afterward. Shows the sources of all pagan beliefs. For the whole family. 176 pages, Paperback. ADAM AND HIS KIN: The Lost History of Their Lives and Times by Ruth Beechick. A rare blending of the Bible account with information from sciences, archeology, ancient traditions and other sources. Reads as easily as a story, yet teaches actual history. Narrates from creation to Abram, encompassing the whole period usually called "prehistoric". Charts, maps and illustrations help to give a clear picture of times and places. Gives insights into the world before the great flood and into the rebuilding of civilization afterward. Shows the sources of all pagan beliefs. For the whole family. 176 pages, Paperback.